If you’re feeling sad on Valentine’s Day, you’re not alone. Valentine’s Day can be a depressing holiday for a lot of people. We all know that we don’t need a special day to express our love or cherish our partners. Valentine’s Day may be a “Hallmark holiday”, but none the less, most people expect their partner to show their love with dinner out, a card, or a gift. And they feel disappointed if the day goes unnoticed or they’re alone on Valentine’s Day. If you’re single and longing for a relationship, you’ve experienced a break-up or the death of your spouse, or you’re in an unhappy relationship, Valentine’s Day feels like a cruel reminder of what’s missing. Some people have embraced Valentine’s Day as an opportunity to show themselves love, celebrate friendships or love for their children, or even do random acts of kindness for strangers. These are all great ideas and are likely to make most people feel better. 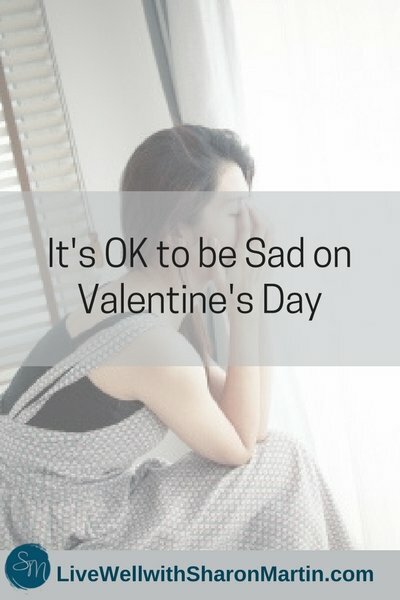 But it’s also OK to feel sad on Valentine’s Day. It’s perfectly normal to feel sad on Valentine’s Day. First of all, no one has to feel happy all of the time. If you’re a regular reader, you know I’m all about setting realistic expectations. If you’re grieving, alone, or in a relationship where your needs aren’t met, don’t expect to sail through Valentine’s Day without any difficult feelings. Instead, accept that it’s OK if you feel sad, lonely, angry, or annoyed. Allowing these feelings doesn’t mean you have to add to your pain, though. Don’t torture yourself by watching romantic movies, reminiscing about the good times with your previous partner, cyber stalking your ex and his/her new lover, or drinking yourself into a stupor. Valentine’s Day isn’t really the problem. Valentine’s Day will come and go. It’s the feelings that come up for you on or about Valentine’s Day that are important. You don’t want to dismiss or push away your feelings; they can provide you with important information. If you’re sad or angry, those feelings will probably show up again and again until you figure out what they’re about, what the root of the problem is. What words best describe your feelings? Why do you think you’re alone or unhappy? Is it possible that you’re overly self-critical or blaming yourself? What kind of relationship or partner do you want? What can you change in your life or yourself to bring you closer to what you want? What are your expectations for love? Are they being met? Can you adjust your expectations to better align with reality? What would you say to a friend who’s feeling sad on Valentine’s Day? Can you say that to yourself now? Spending a bit of time in self-reflection can help you uncover the fears, self-defeating beliefs, and feelings that are keeping you stuck. If you’re feeling angry, lonely, or sad this Valentine’s Day, invite those feelings in. Notice your feelings, pay attention to what they’re trying to tell you, and offer yourself comfort by practicing self-care and self-compassion. Your feelings are normal and they can actually put you back on the path towards a happier relationship with yourself and others. 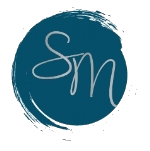 ©2017 Sharon Martin, LCSW. All rights reserved. Originally published on PsychCentral. What a perfect blog that addresses a whole bunch of people that really struggle with Valentines Day! I love that you spoke to them!! !